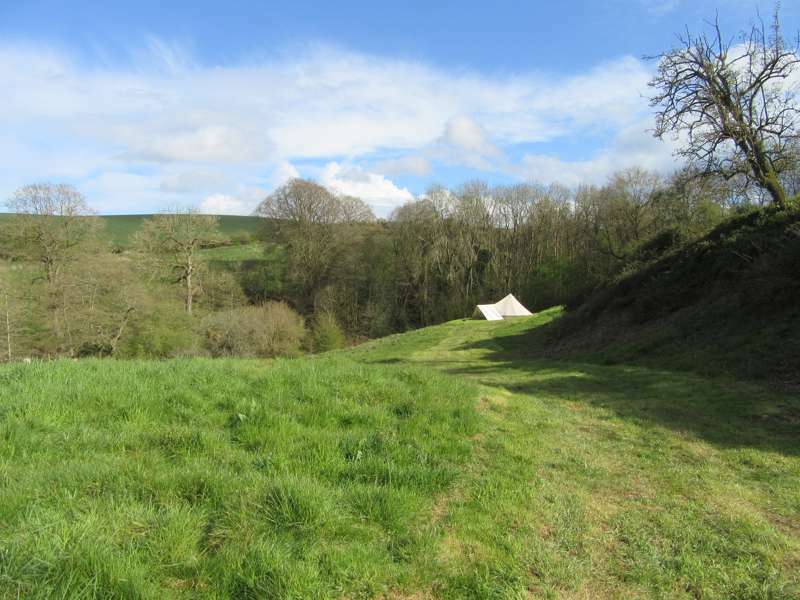 Unfurnished bell tent in a secluded pitch at the bottom of the valley. We have equipped this tent with a double bed with mattress and bottom sheet, a coconut matting carpet, and a firepit outside. 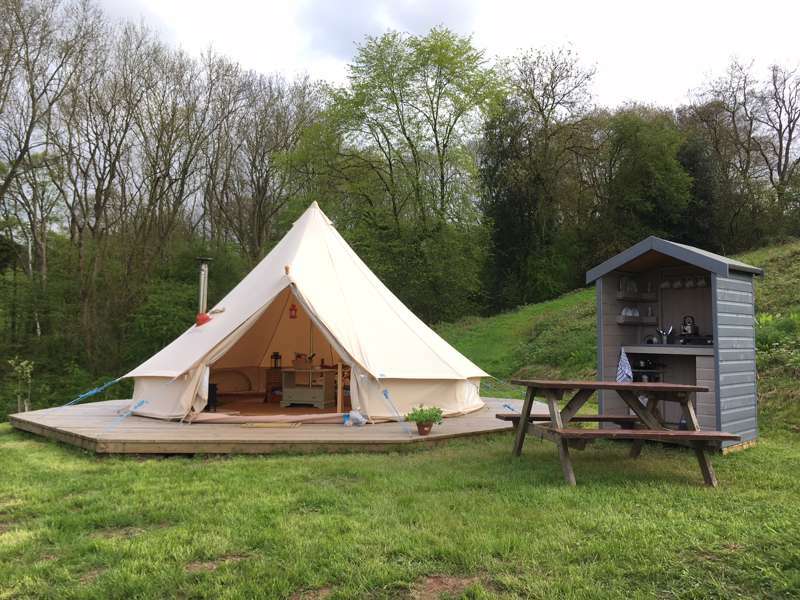 A grass pitch with incredible views on a small, family run glamping and camping site located in the beautiful Teme Valley. If it's camping under the stars that you're after, then look no further. Our camping field boasts amazing and unspoilt views, with only 5 grass pitches available there's plenty of space and privacy. “No clubhouse, no caravans, no electric hook-up, no close neighbours”, it reads in bold on the Hidden Valley Campsite website. It’s the truth, too. 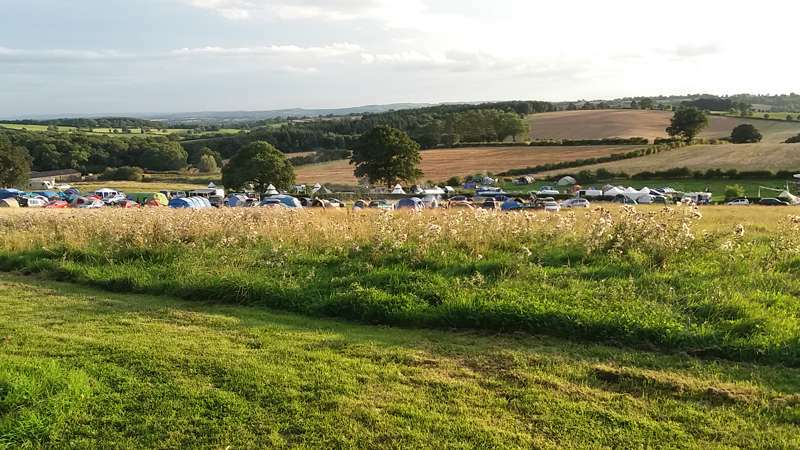 Set in a sloping field in Worcestershire’s Teme Valley, this is not only an off-grid campsite where traditional tenting is order of the day, but it’s also the sort of landscape where caravans and electricity simply wouldn’t work. From the initial meadow beside the lane, where there’s room for a handful of tents, the land falls suddenly away, sloping down toward aptly named Stony Brook. 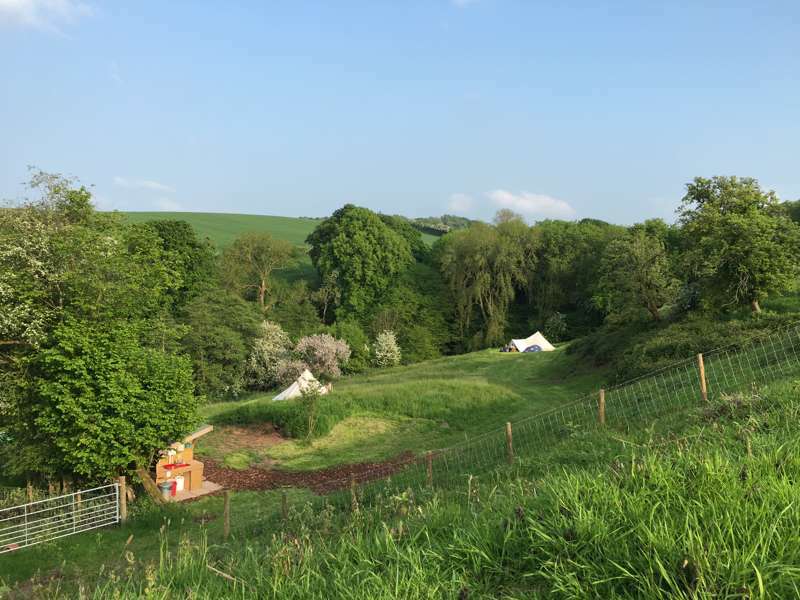 Natural terraces provide aprons of grassy space, perfect for pitching the tent and having your own personal area, while a trio of pre-pitched bell tents bag some of the best spots above the stream. Caravans wouldn’t stand a chance but old school campers are in heaven. “We are keen campers ourselves”, manager Simon explains. “There's nothing worse than site owners cramming as many tents into their fields as they can.” It’s certainly shaped the Hidden Valley ethos. There are rarely more than around 25 people on the campsite at any one time and facilities are typically low key and close to nature. Gas-powered showers, composting toilets, a covered washing-up area and a small honest shop is about the grand sum of the facilities, though if you arrive at the right time, you might also benefit from the luxury of a quad-bike ride to your pitch instead of the customary wheelbarrow walk. It’s all part of the laid back vibe here, where campfires are encouraged (raised off the ground) and they won’t charge you through the nose for a fire-pit (you can even bring your own if you like). In the morning, there’s a dawn chorus that weary urbanites could only dream of and in the evenings you can look out for muntjac deer and foxes slinking away beyond the hedgerows. As for the daytime? Fill it with trips to local attractions like English Heritage-owned Witely Court or the family friendly zip lining at Go Ape! or indulge in the real local highlight… the food. Nearby Ludlow and Leominister are well known for their annual food festivals, while the nearest pub to the campsite is a scenic one-mile walk away. And, since the wildflower-dotted campsite is actually set in what was once an orchard, it would be rude not to try a local cider while you’re there! 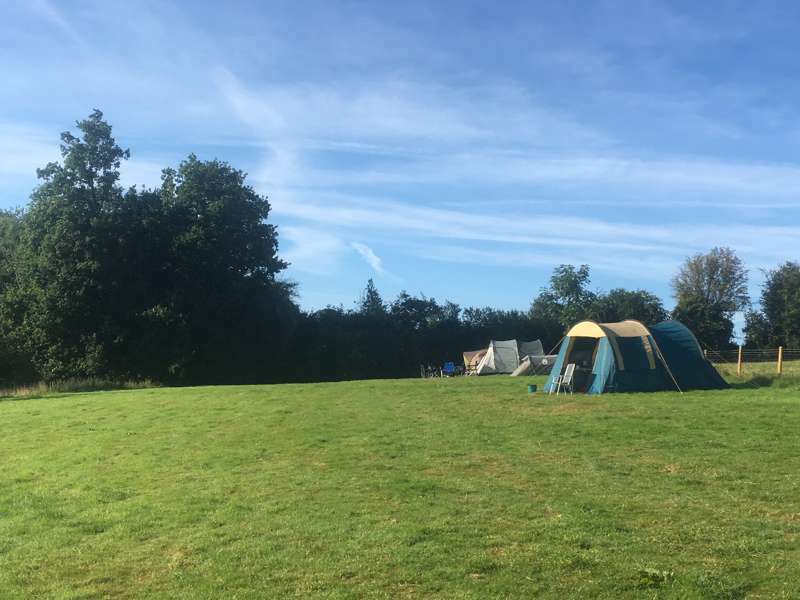 Off the beaten track, and tucked away in a rural corner of the beautiful Worcestershire countryside, we welcome you to Hidden Valley Camping. 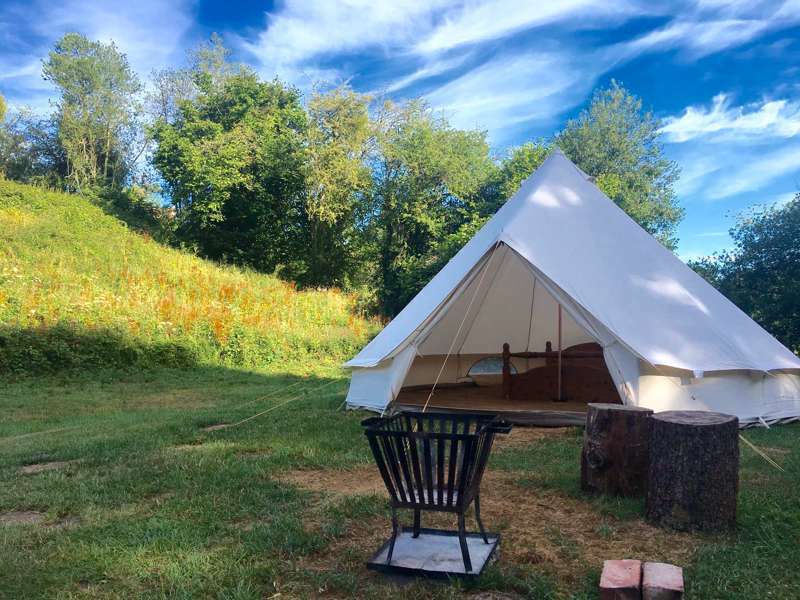 Set in an ancient orchard on our small working farm, we offer wild-ish camping and glamping, with unrivalled views, huge dark skies, and an abundance of wildlife. 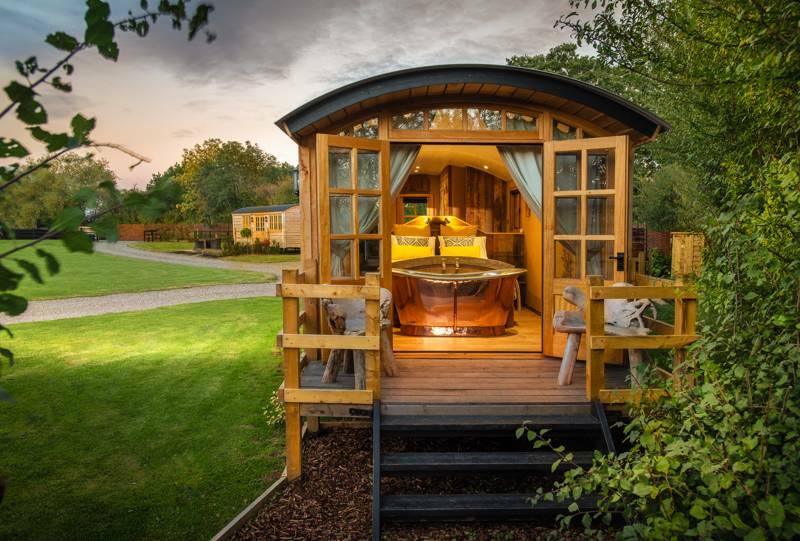 With just 3 bell tents and a handful of camping pitches, you are guaranteed your privacy and plenty of space to sit, relax and get away from the hustle and bustle of everyday life. 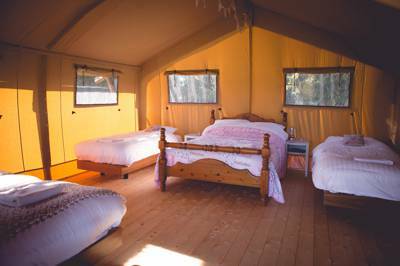 For latest availability and best prices for Hidden Valley Camping, please use the Date Search above. We were 3 families and we stayed in the top field that had amazing views. We were lucky with the weather and found a place nearby for wild swimming/cooling off. The campsite provides fire pits and we had a wonderful time playing cricket and toasting marshmallows which we got from the honesty shop on site. 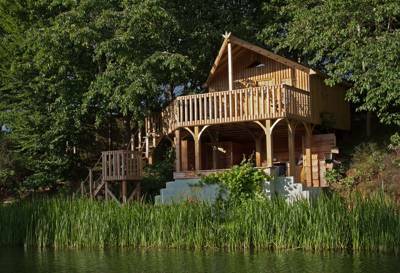 Solar showers were perfect and the family that run the site are very friendly and welcoming. A place to get away from it all and relax. How quiet and peaceful it was. I don't really want to write a review because I want to keep this beautiful place a secret for myself. It is such a lovely peaceful place, so quiet, only the sounds of the farm animals and wildlife to be heard. Lovely, friendly owners there to lend a hand if needed but largely left to our own devices. Free to roam the extensive lands and plenty of beautiful countryside to be enjoyed, didn't see a soul apart from cows! Night sky worth a mention as so clear and unspoiled by unnatural light. Can't wait to go back! Friendly owners, very helpful. Clean facilities and lovely level pitches with great views - very quiet and pretty location. Exactly as described on their website. Quiet, relaxed and amazing night sky view of the stars. Modest facilities as described, but it had everything we needed and was always clean and tidy. Would definitely recommend and will stay again. Lovely quiet little spot in beautiful countryside, some fabulous sunsets, and nice walks from the site, down into the woods or footpaths across fields to the Tally Ho pub which has a nice beer garden with great views. We'd ordered a fire pit and enjoyed watching the stars and cooking the sausages and burgers we'd bought from the honesty shop. We were blessed with beautiful hot weather. We had everything we needed, the composting toilet was kept clean, the shower was warm, and we grew fond of the three sheep that roam the site, we called them the three musketeers. Hope to return at some point in the future when we need to recharge and relax. A great camping experience for our family. The scenery is stunning and our two boys loved being able to run around and explore without worrying about cars on site. Simon was very helpful, friendly and always on hand. We loved the little honesty shop with lots of essentials and more! The compost toilet was a novelty, but a great idea. We will definitely be back again. Welcoming, magical, quiet, with lots of beautiful places to eat and visit if you like. We have camped with Hidden valley on 4 occasion and will keep going back to this magical place, visiting the beautiful area that surrounds the site . Congratulations to you, it is perfect in every way and see you soon. 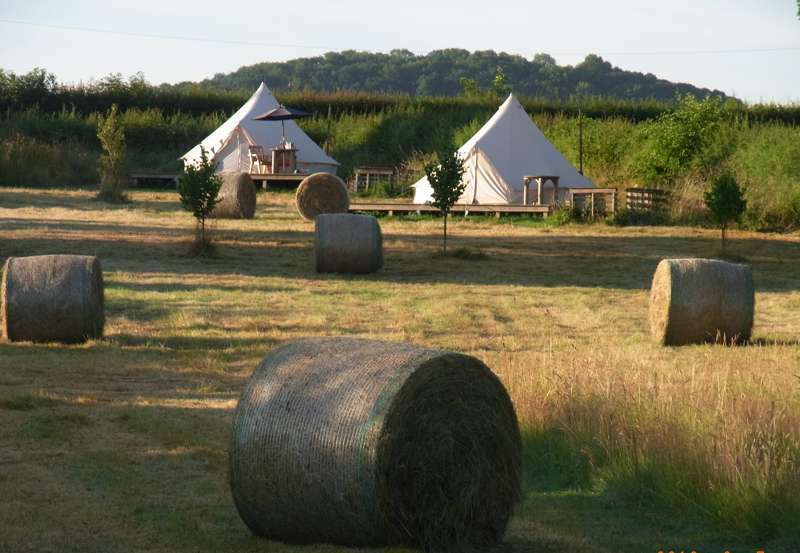 5 camping pitches, 2 furnished bell tents and 1 unfurnished bell tent. 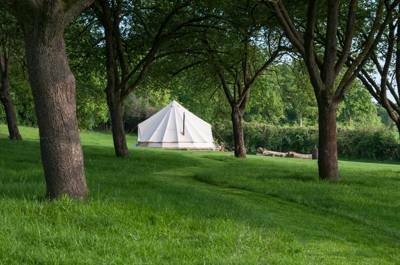 Tents, children, well-behaved dogs (except in the bell tents), family groups – yes. Caravans, campervans, motorhomes, noisy folk – no. All off-grid: 1 composting toilet, hand basin, gas-powered hot shower, washing up station with hot water and solar lighting. A small honesty shop sells drinks, tinned goods, charcoal, local meats, ice creams, sweets, chocolates, the obligatory marshmallows and logs for your campfire. Firepits are available to hire, but you are welcome to bring your own as long as they are off the ground. OS maps are available to borrow for those who enjoy a ramble (access to miles of public footpaths right from the site) and there are wheel barrows to carry your camping gear to the pitch. 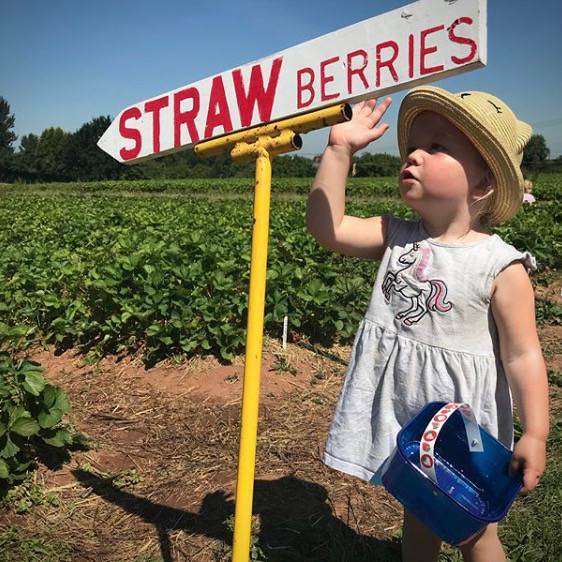 It's 4 miles to the quaint market town of Tenbury Wells, while well know foodie spots like Bromyard, Leominster and Ludlow are nearby too. There are plenty of National Trust and English Heritage-owned properties in the vicinity. It's 9 miles to Witley Court – a ruined, 17th century, Italianate mansion with extensive grounds to explore – and 12 miles to neo-classical Berrington Hall (01568 615721). In Herefordshire, the beautiful farmed estate of Brockhampton (01885 482077) is also 10 miles away. 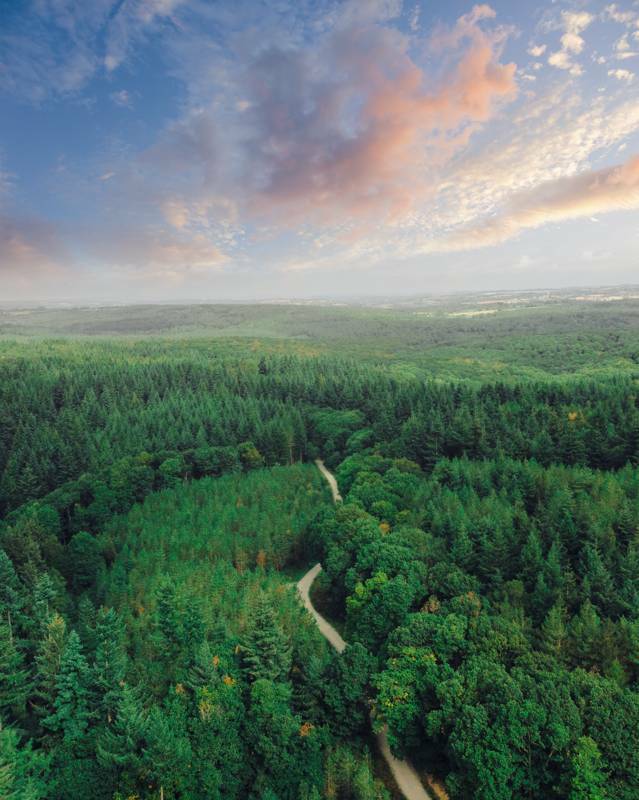 For a good walk, it takes around 20 minutes to drive to the Wyre Forest, where you can really wear out the kids at a Go Ape (0845 094 9793) if you need to. The West Midlands Safari Park (01299 402114) is another great option for families (20 minutes by car). The nearest pub (a 1-mile walk) is The Tally Ho (01886 853241), where portions are generous and well priced (especially the Sunday carvery), though, for some more serious fine dining, The Baiting House (01886 853201) and The Talbot Inn (01584 781941) in Newnham Bridge do Michelin style food and serve great local ales and ciders to wash it all down with. The Bait, in particular, has a wood fired pizza oven and an excellent beer patio, which is usually available when the sun is shining, while the Talbot has a good (but anglicised) tapas menu. The foodie town of Ludlow is a 15 minute drive away – there are regular farmers markets – and award winning local meats are available just down the road from family-run butchers and supermarket, Bowkett's. From Great Witley, take the B4203 towards Bromyard and turn left at the crossroads, signposted to Tenbury Wells (B4204). After 2 miles, after the Tally Ho pub, there’s a bend in the road with an oak tree on the corner; turn right (signposted Highwood) and the campsite is ¼ mile down the lane on the right. From Tenbury Wells, take the A456 towards Worcester, go through Newnham Bridge and take a right over the River Teme towards Eastham. Follow the lane around a corner (past the church), take a right and then take the next left and the campsite is ½ mile up the lane on the left.